(Un)fortunately, a few must-sink investments have kept me from owning one of my own. That is, until hooking up with the Ocharaku-modded ATH-CKM55 at Fujiya Avic’s 2013 Spring headphone festival. Ladies, lads: I’m in the club. In fact, I’m probably one the very few foreigner Ocharaku fans to own the earphone that started it all. Mr. Yamagishi inserts Ocharaku’s proprietary Tornado Equaliser technology into the CKM55. If you send one in, the process will cost you 6.000¥. If you buy directly from Ocharaku, the total cost is 10.000¥. As far as I know, Mr. Yamagishi doesn’t do overseas sales. Which is a bugger. 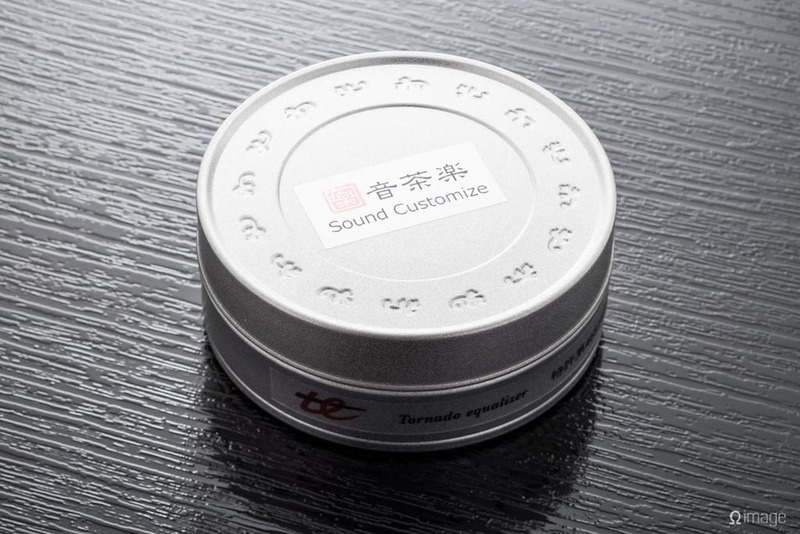 A mere 10.000¥ nets you an earphone that sports the delicious Ocharaku Tornado Equaliser equaliser. TE is the technological forerunner of today’s TEE, which is found in the amazing SUI, KURO, and KAEDE earphones. It is entirely worthwhile. In this short essay, I’ll do my best to convince you (and exporters) that this badboy is worth the huzzah. Despite being Ocharaku’s least expensive product, the modded CKM55 is the only earphone in Ocharaku’s line up that allows you to pick and choose your sound. My unit is the one with a red label. It’s in the upper left-hand corner. It is called Long Clear and spelled: ロング●クリアー. Long refers to the length of the tornado equaliser element. Clear refers to the slant the modded CKM55 brings to your favouite tunes. The combination of long and clear is beautiful. I heard the original, unmodified CKM55 at Fujiya’s February festival. It is a cloudy, dull earphone. Its only redeeming factor is its (quite decent) cable. Long Clear’s most pronounced band is the powerful and somewhat narrow swath from 50-120Hz. The net effect is intensity akin to that first-time-in-a-dentist’s-chair scare. Fortunately, it is infinitely more fun. Unmodified, the CKM55 flabs a bit in the lower frequencies. Modified, its driver loosen teeth like their sheaths of bone and gum were made of week-old spaghetti. The CKM55 is careful to not go too far, though. Never overwhelming, never boomy. Emotion over argument, it smooths over chalky bumps in higher bass and elegantly sidesteps duff. Low end detail is good. Marcus Schulz’ Mainstage intro rolls in with rounded precision- not quite the yawning clarity you’ll get from the Victor FX500, but a good second. Bass slam is tip-dependent. The stock tips give a rather clear presentation more akin a de-pulped FX500. Soft hybrid tips such as Victor’s amazing EP-FX6M-Z soften the portion from 80-100Hz. The details are rounded off but comfort is high. No matter the tip, there is a slight blurring where bass hits mid and upper bass. That blur sounds great for most electronic music, hip hop, and with drum and bass. Actually rock may be another thing all together. Generally, I don’t feel that Tornado Equaliser has any weaknesses. CKM55 does. Even modded, with the wrong tips, rock bass kick can boom flatly. With the right tip, it explodes, but maybe, just maybe, it is too much. Softer organic music sets: jazz, vocal, piano forte- these are sublime with the warm, rich modified CKM55. Mids and highs are more laid back. With soft tips, highs can disappear rather quickly. Solid silicon tips allow for graceful fall off. Mids are semi-forward and spacious enough to mate with any music you loop up. Vocals of any gender and genre are nicely placed and crisp. Mid instruments come away smooth, non-splashy, and straight forward. While there isn’t an abundance of space around instruments, there is an abundance of feeling. The overall effect is probably what Audio Technica were aiming for - and missed spectacularly - with the CKM55. It’s a sound that some purity-test-passing audiophiles might scorn. But it is so fun. Its unstrained, deep, throaty bass is a guilty pleasure of mine (and I’m the Audio Technica CK10/Etymotic ER4 lover). No Ocharaku earphone fits as snugly as a Westone, or a Shure. The Ocharaku thing seems to be sound, with only perfunctory interest in fit and ergonomics. The CKM55 is almost an addendum to that maxim. It fits in like any normal hangy-downy earphone. But its short stem, obtuse insertion angle, and massive body make comfort, isolation, and clear sound tubes, somewhat difficult. It works, but fit and isolation are about on par with a yoghourt-smeared Apple iBud. Apart from the Ocharaku tea tin, you get what came with the original earphone: an extension cable and six silicon ear pieces. I find the earpieces abrasive, but their insertion angle is good. The cable is sturdy, L-shaped, and long. But, it’s a ho-hum package. Again, the CKM55 is a mod. At least Mr. Yamagishi threw in a tin. It’s a sign of the times when a hardware reviewer expects little out of a 10.000¥ product. Again, CKM55 is Audio Technica’s baby. Its cable is decent, and goes long or short. Recently, I’ve been using the earphone without extension from my front shirt pocket. Amazing. Sure, there’s plenty of touch noise, and sure, there are better stress reliefs out there. But overall, the housing quality, sturdiness of the sound tube, and the ear tips speak of quality. In the end, you won’t be purchasing the modded CKM55 for reference-quality sound. You’ll purchase it in clear disregard for audiophile presumption. This is a fun, slamming earphone, that is more Jack Black than it is Christopher Hitchens. It is thick, foot-tapping, and slightly muddled in the middle. A guilty, addictive, pleasure that is oh-so worth its asking price. Whether you end up shy 6.000¥ or 10.000¥, you’ll be in the O club.